The saga of Royce White is gaining a lot of media momentum. A special athlete and unique basketball talent, a fine student and artist, who also suffers from anxiety disorders. It is creating a serious tension between the man and the professional. It isn't a unique story, but White's straight talk on the issue is breaking new ground. His unwillingness (inability) to fly with the team, as well as other episodes have made his attachment to his employer, the Houston Rockets, very shaky. It's not like the Rockets didn't know about White's problems, which were well documented in college. But his situation at Iowa State was ideal. His coach was Fred Hoiberg, who by all accounts is a prince of a guy. And if you've ever been to Ames Iowa, you know it's an insular college town where individual situations can be managed quietly - as opposed to being a star football player at LSU or hoops rock star at Kentucky. Iowa State also lives on the Big 12's I-35 corridor, which connects most schools in the conference. Life is a highway, not a charter jet. And White thrived in his one year with the Cyclones. At 6'8" 270, and a sophomore, he led his team in points, rebounds, assists, blocks and steals. White handled like Magic, rebounded like Moses, and made the All-Big 12 team. Then he declared for the NBA Draft, and the Rockets took him 16th overall. Since then, it appears that the Rockets have bent over backwards to create the ideal environment to accommodate White's limitations. But White has been on his own schedule, often not attending team practices and sessions with the team's therapist. The results have been the recent racking up of fines and an eventual demotion to the D-League, a fate that would have befallen any "normal" player. 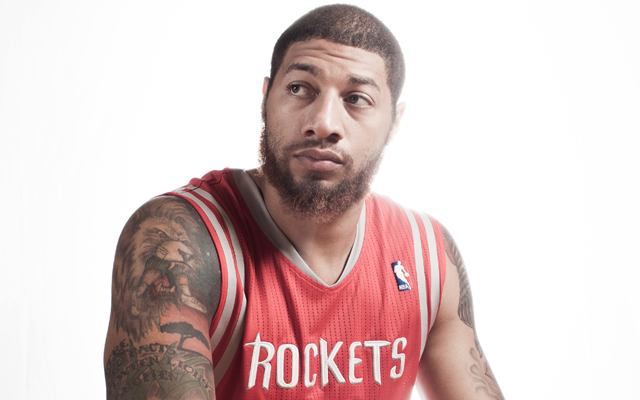 Royce White says he is not normal, and has since been using his Twitter feed to elevate the issue. He has become an outspoken advocate for the mentally ill, but he is also a member of an NBA team. Those two things, it appears more and more each day, are becoming mutually exclusive. The great Yahoo! Sports writer Adrian Wojnarowski wrote a much more eloquent and direct column about this than I ever could (as he is paid to do), about how this fight may cost White his career. "Houston redid White's contract so it could pay for White's RV and car services on trips, because of his fear of flying. The Rockets have let him come and go this season without fining him. They owe him that patience and understanding, but they don't owe him playing time. That's earned in the NBA..."
"If it was easier for White to manage his anxiety disorder when he was the star at Iowa State, well, that isn't the Rockets problem. There's no leveraging an anxiety disorder to get out of a D-League demotion and onto the NBA floor." While White's situation is complicated, he isn't nearly the first pro athlete to have this condition. If he can bring more awareness to the struggles of day-to-day life of mental illness in the professional world, God bless him. But he is now treading down a dangerous path towards martyrdom, and is at risk of being a cautionary tale. White meets today with Rockets GM Daryl Morey on the issue. Hopefully they'll come up with a solution that benefits all parties, though the common ground seems to be shrinking around them. But what White needs to realize the most is that this is a speed bump in a hopefully very long career, and he would be wise to take whatever time he needs to figure that out. Then he can return, dedicated to basketball, and use that forum to deliver his message.